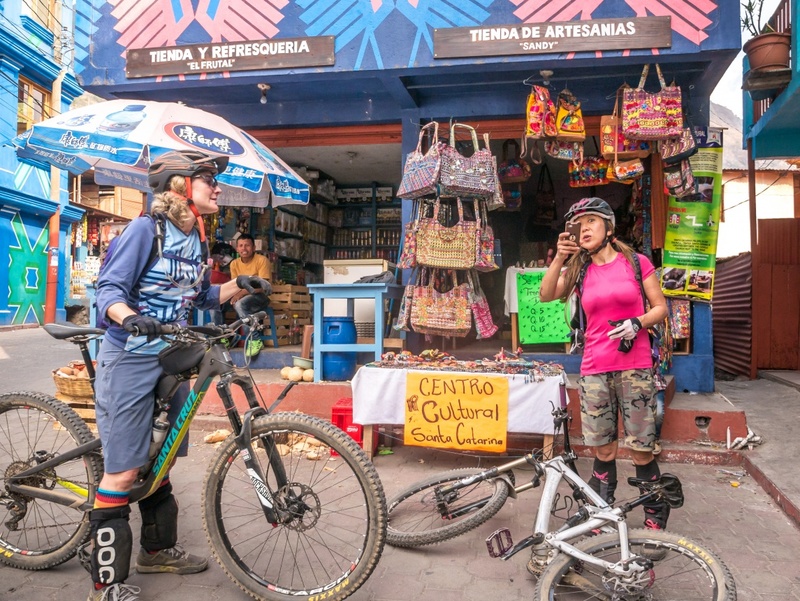 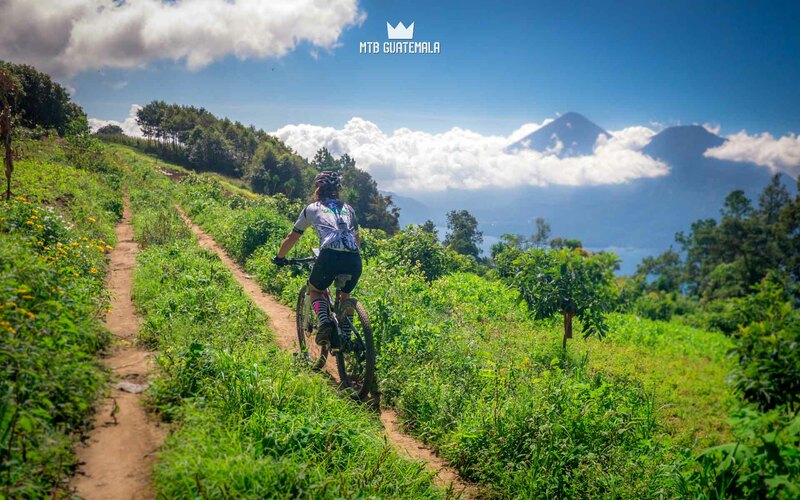 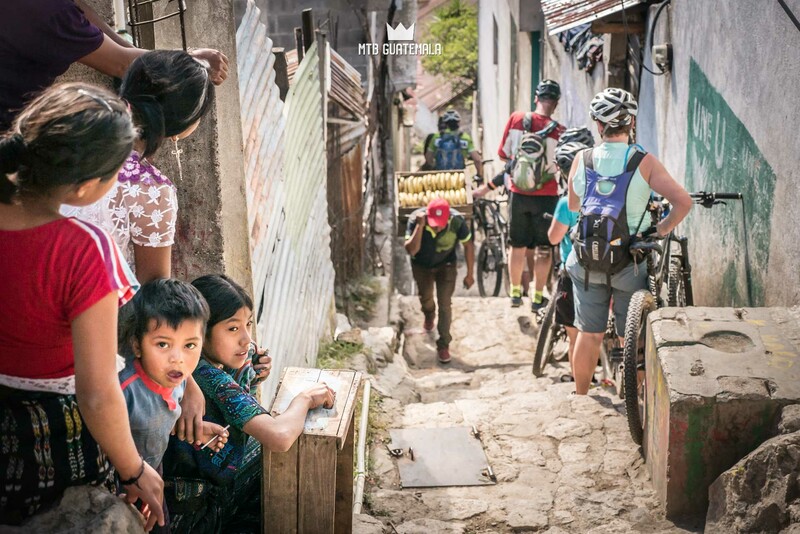 Guatemala has some seriously big terrain and this 2 day Lake Atitlán Cross Country Mountain Bike Tour combines big climbs, technical descents, and rewarding views that make the region a paradise for MTB. 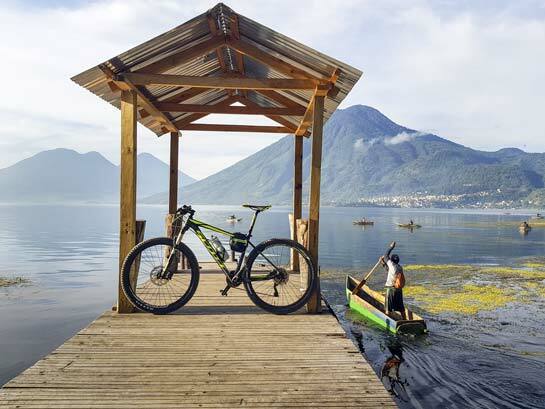 Lake Atitlán is one of the best places to mountain bike in Guatemala – its enormous topography, perfect climate 12-24°C (55-75°F year round) and friendly local culture make it a highlight for many travelers. 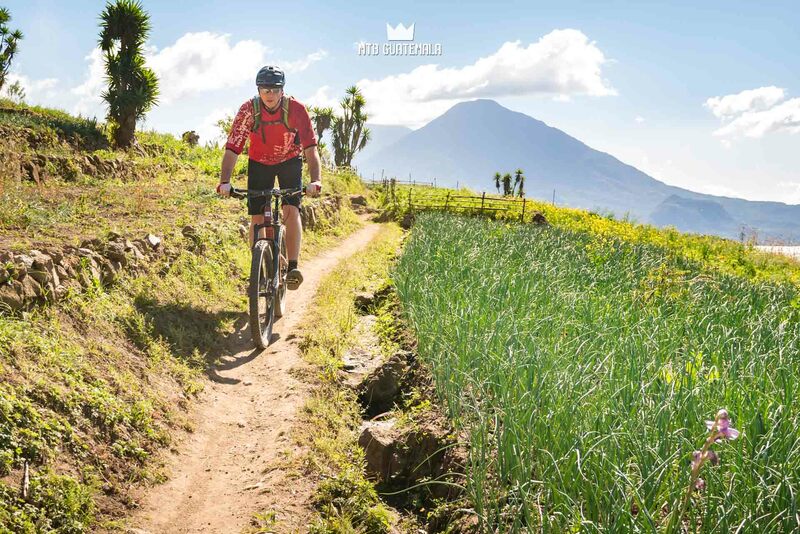 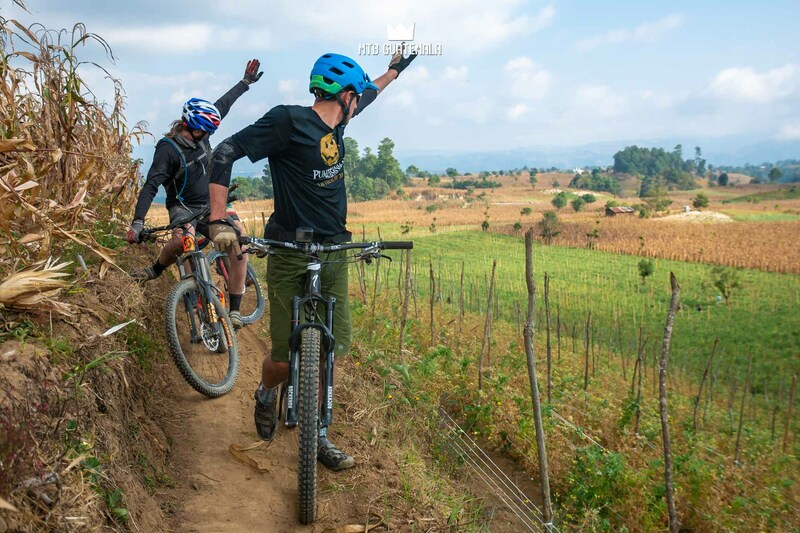 Around the lake there are hundreds of singletrack paths where we’ll explore connecting terraced onion fields, agricultural byways and ancient Mayan trading routes. 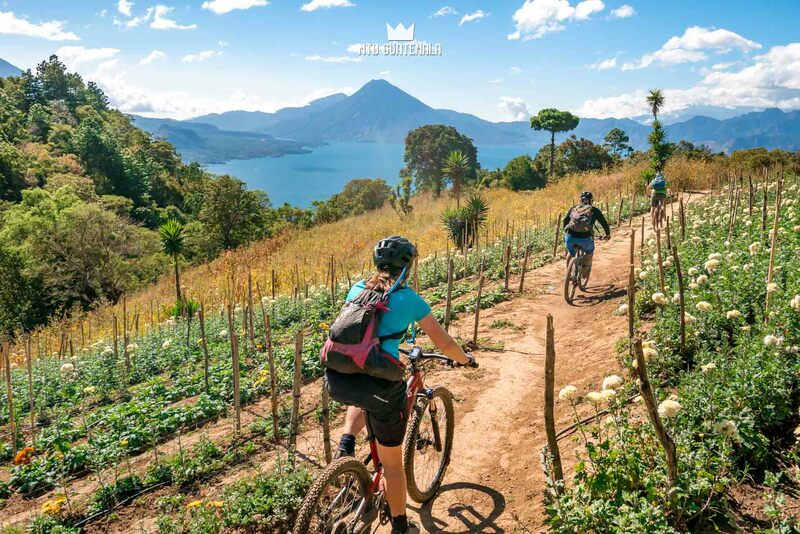 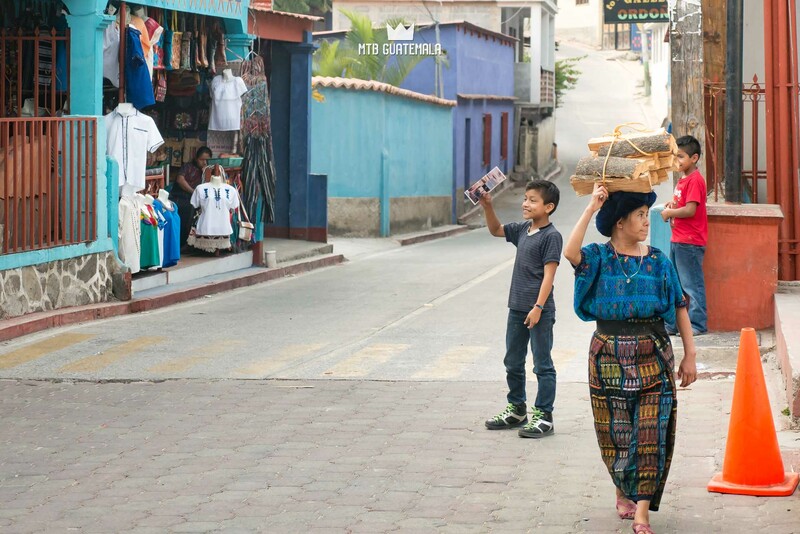 From pine forested mountains of Tecpán at 2650m to the shores of Lake Atitlán this 50km route traverses a complex network of canyons, rivers and isolated Mayan villages. 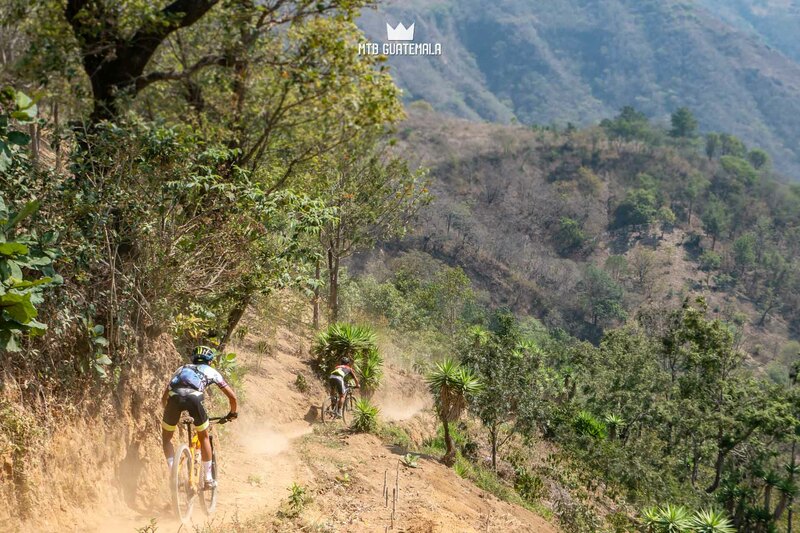 The route is remote - connecting isolated herding and farm paths to cross the Madre Vieja river before climbing to finish with the epic Culebra downhill. 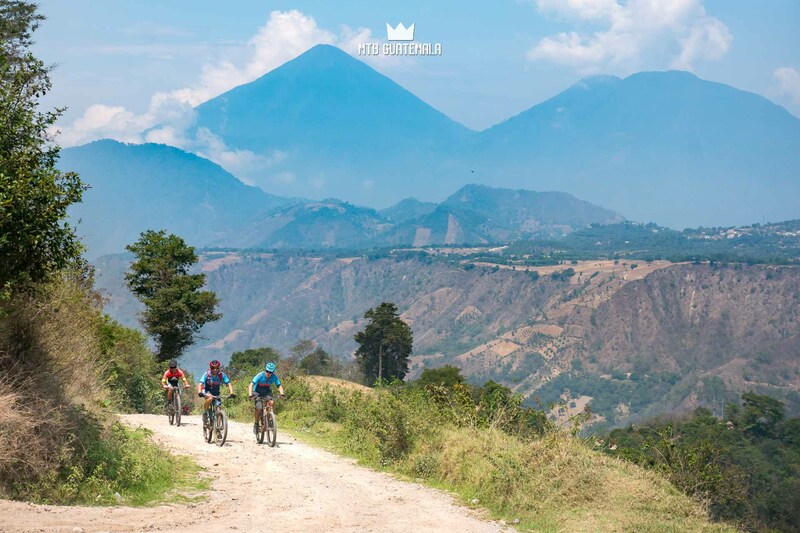 The Imperío Kaqchikel is one of the largest mountain bike events of the year in Guatemala. 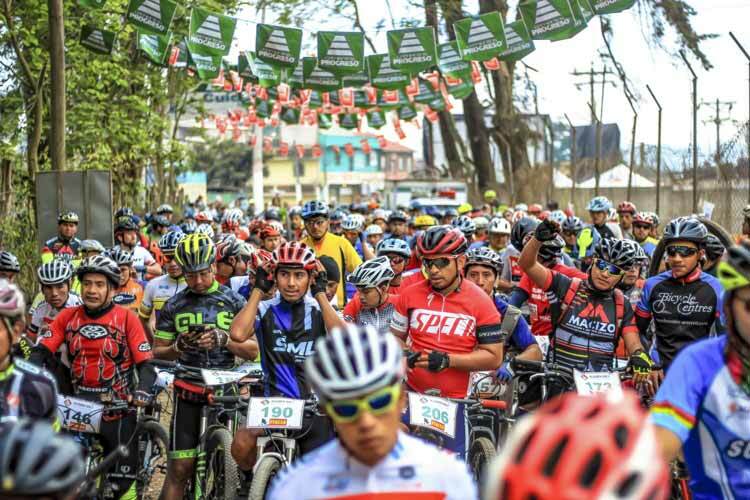 Held in Tecpán, this marathon XC draws over 500 racers annually. 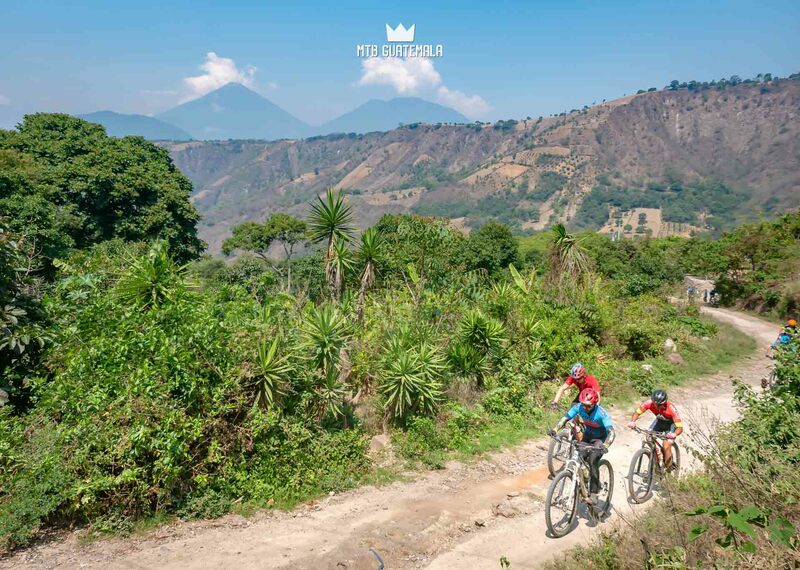 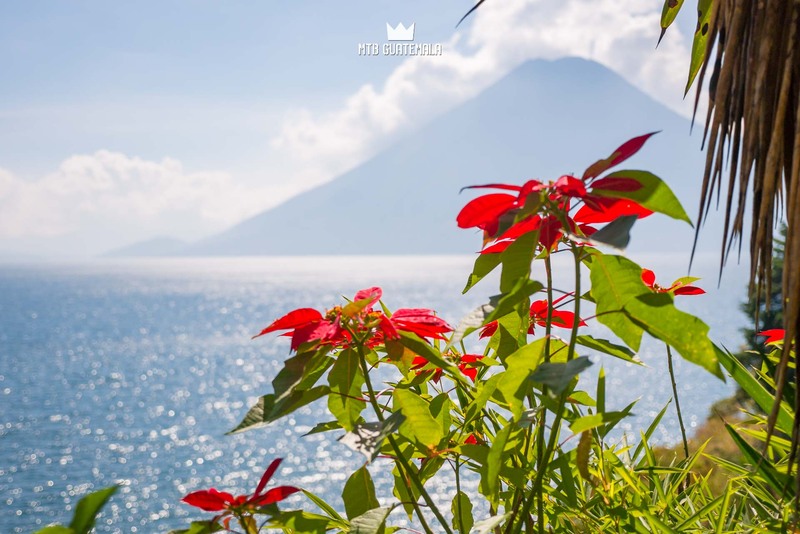 Our route today begins by following the race’s first climb 12km (7.4mi) up 4x4 and singletrack trail to a spectacular view of Lake Atitlán and its three volcanes: San Pedro, Atitlán and Tolimán. 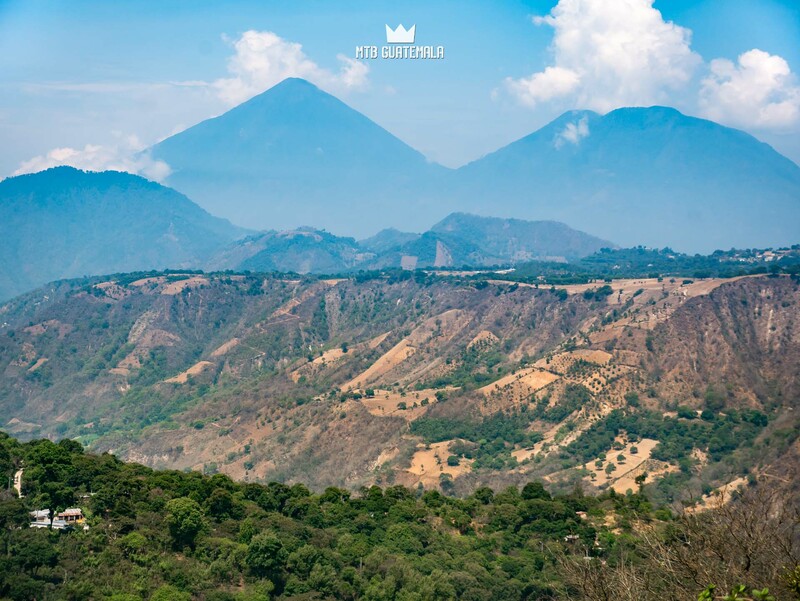 We will also get views of Acatenango and active Fuego volcanoes to the southeast in Antigua and the Zunil and Santa Maria Volcanoes to the west in Quetzaltenango. 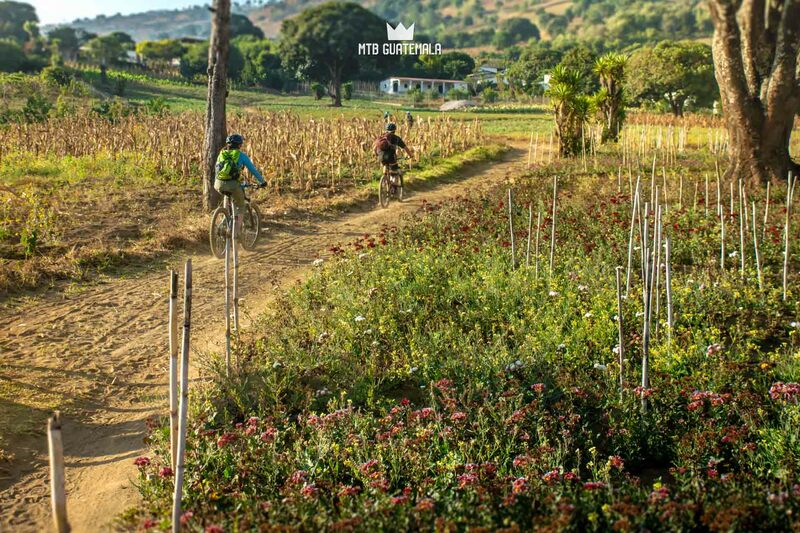 Our route will descend rough farming singletrack to the Madre Vieja river valley where we will face several tough climbs to get out. 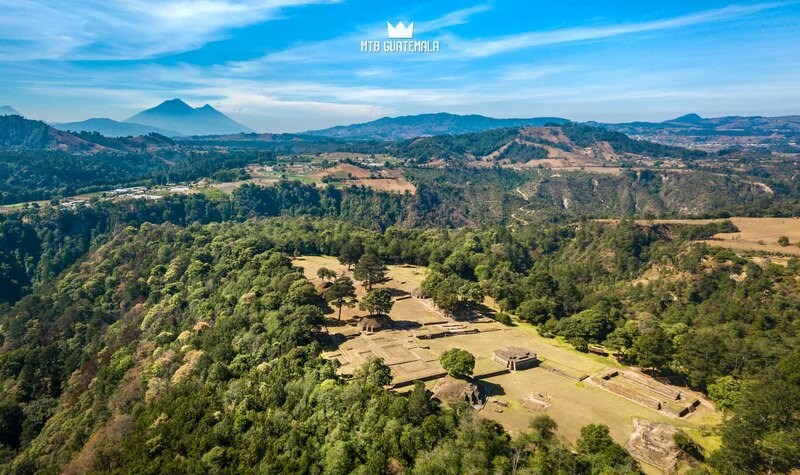 We will follow an ancient and eroded trail. 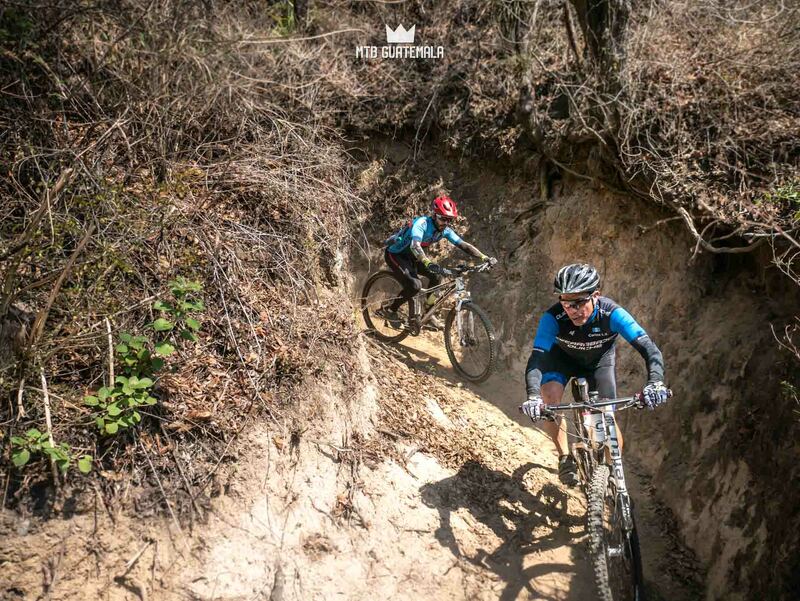 "El sendero de las vacas" - a narrow and technical switchbacking descent used by headers to reach the canyon floor. 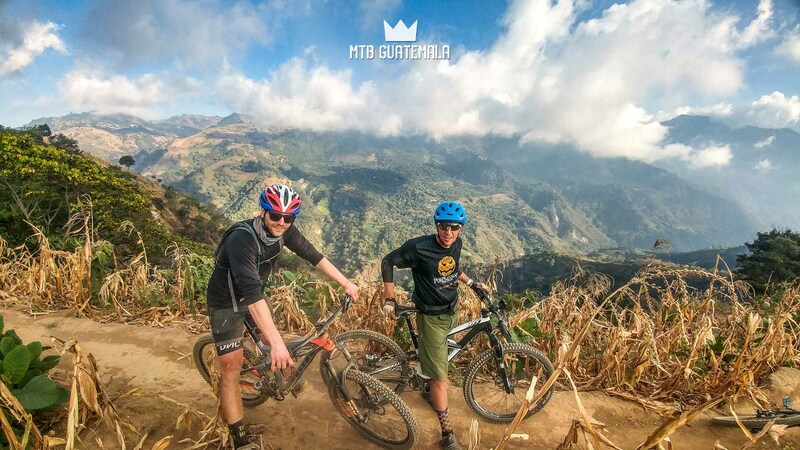 La Culebra the snake is one of Guatemala's most infamous mountain bike classics. 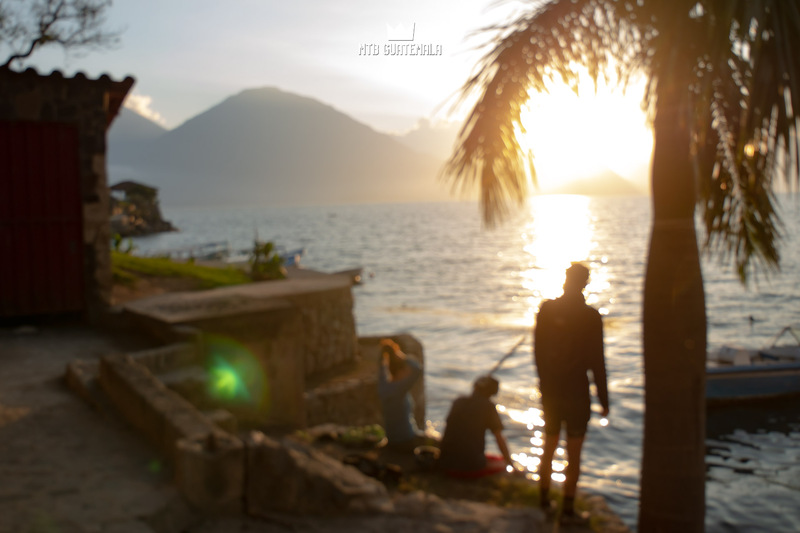 Twisting and curving it follows an aqueduct trail which drops 800m from the Lake Atitlán caldera to the town of Santa Catarina Palopó. 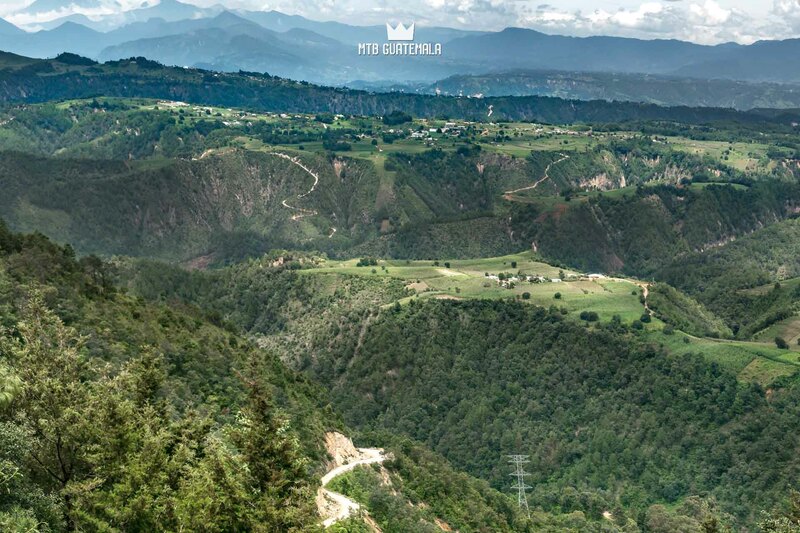 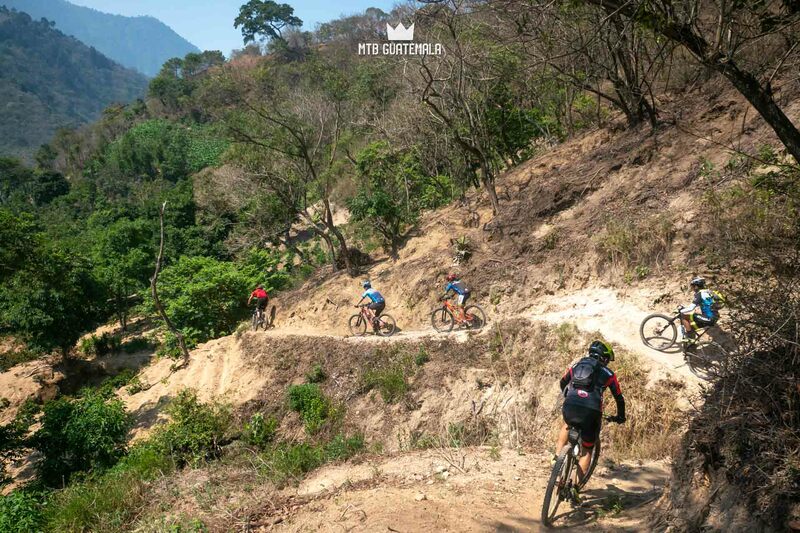 Featured in the 2nd day of Guatemala's MTB stage race El Reto Del Quetzal - this technical downhill is a test piece for many racers. 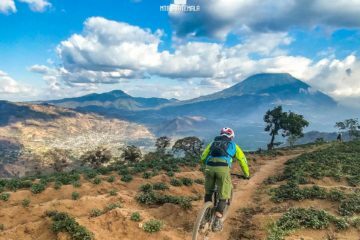 Reached at kilometer 80 after an early start in Antigua - most riders are seeing red by the time they reach this cliff-lined descent. 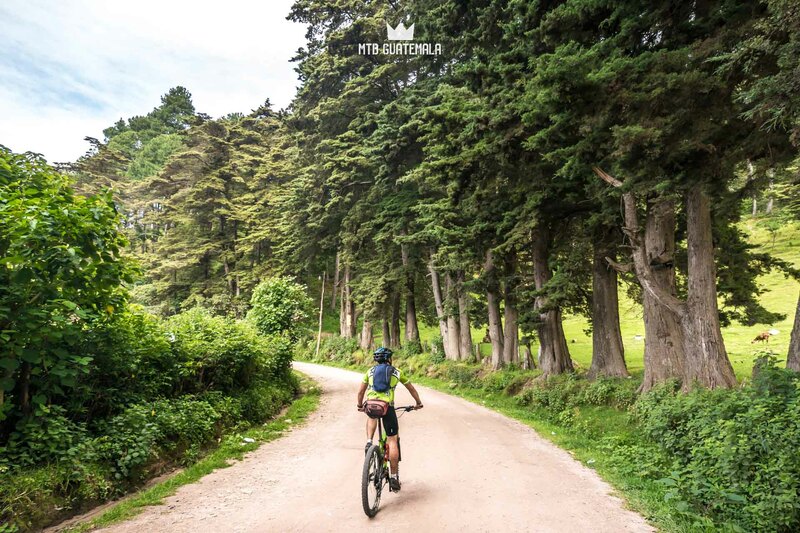 La Culebra includes steep flower patches, pine forests, sinuous switchbacks, rock drops and breathtaking views with serious consequence. 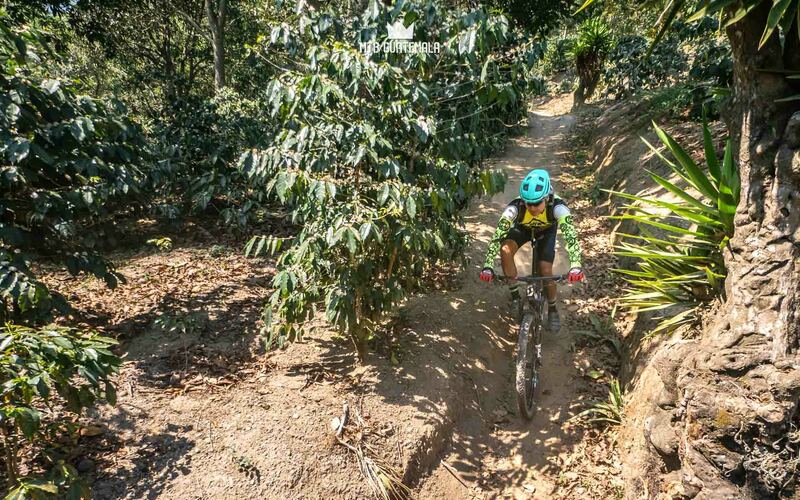 The last section of trail follows an urban downhill through the steep alleys and concrete staircases of Santa Catarina Palopó. 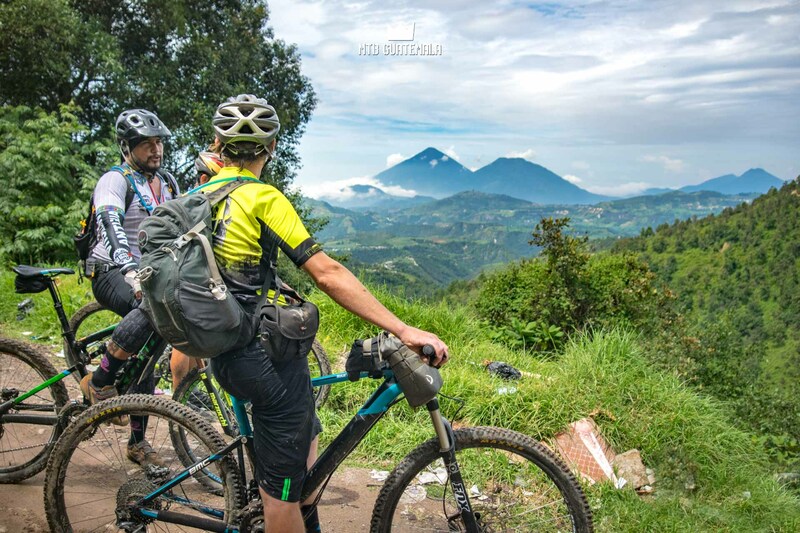 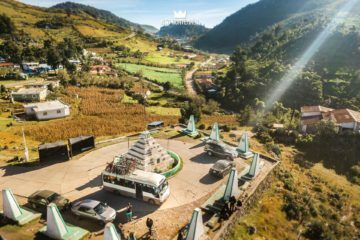 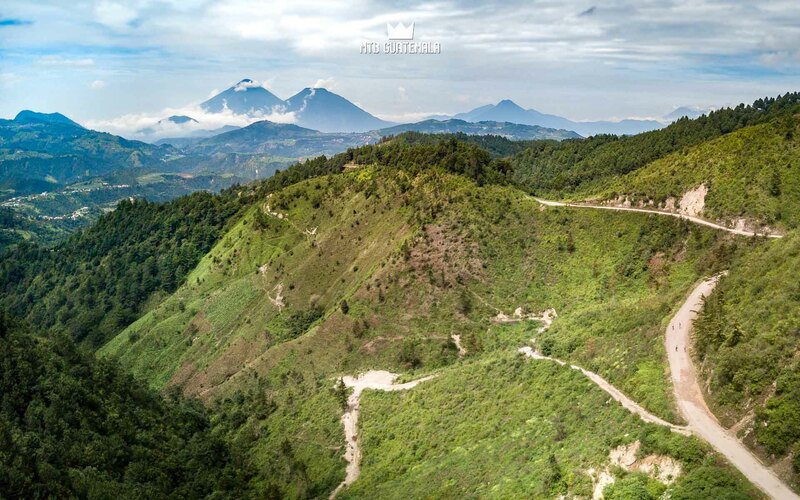 The views, the technicality and the unique nature of this route make it a five star classic in Guatemala. 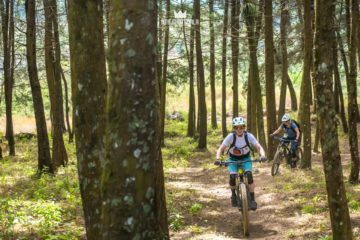 A pure cross country loop with a little bit of everything. 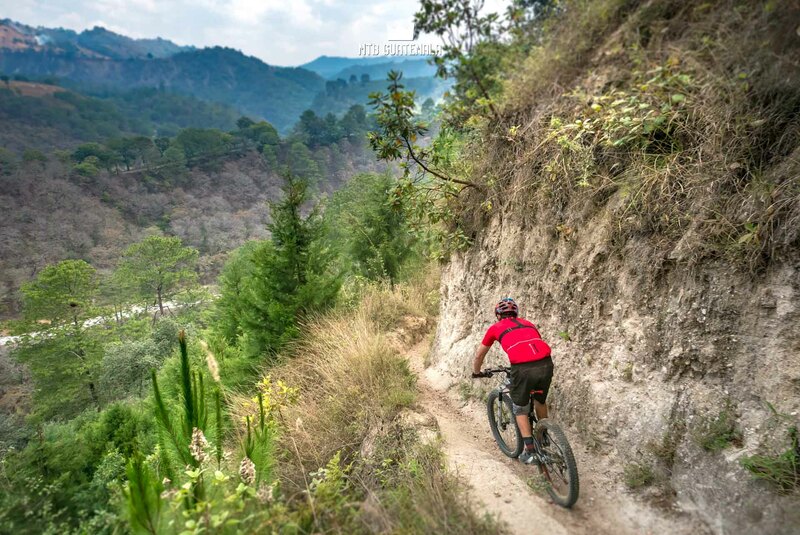 Today you will ride rugged and raw agricultural foot and horse paths that form a network of Mayan trails not found on any map. 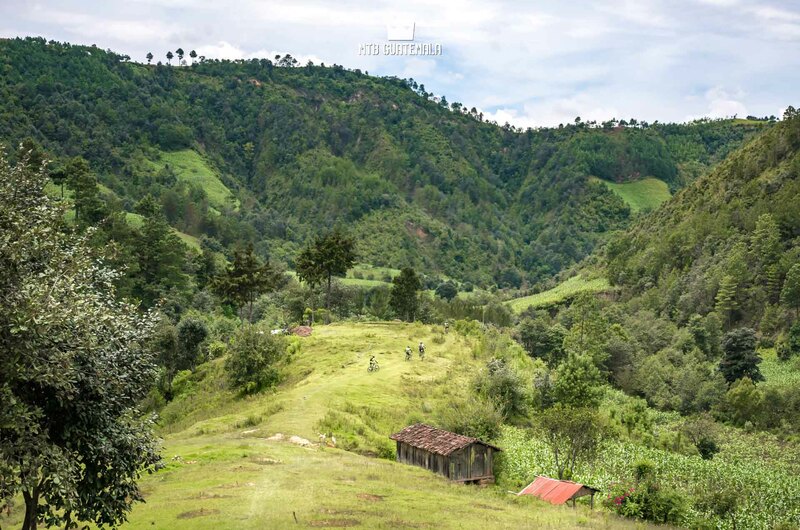 We will shuttle from Panajachel to the town of San Andres Semetebaj - a small farming community nestled in pine forested plateau above the lake. 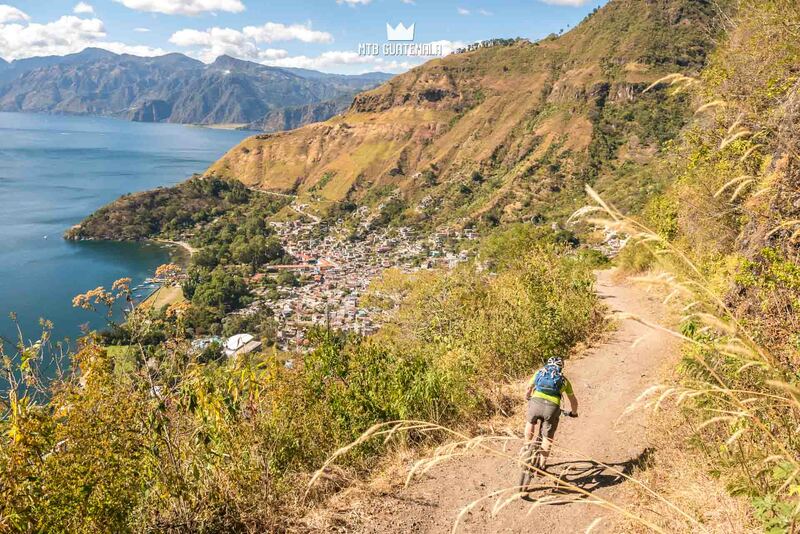 From here we will loop singletrack to a beautiful overlook of Lake Atitlán and its villages. 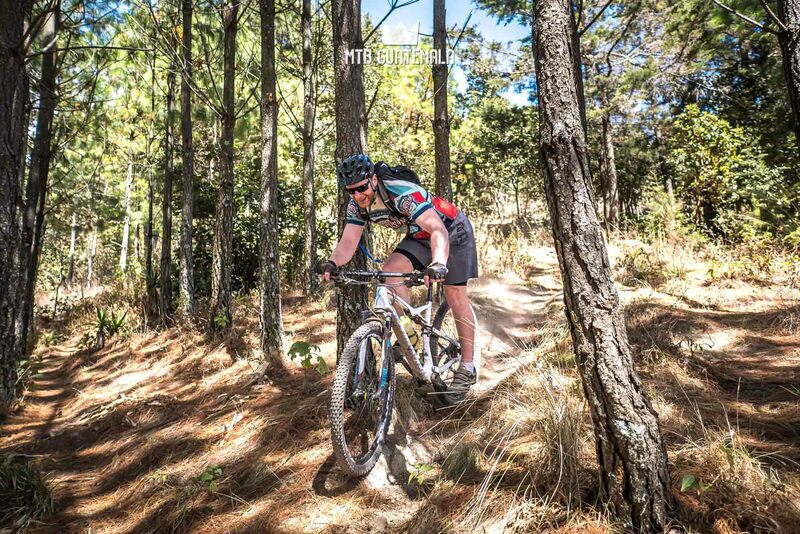 We will visit Saquiché - a seldom used nature reserve and park with forested trails. 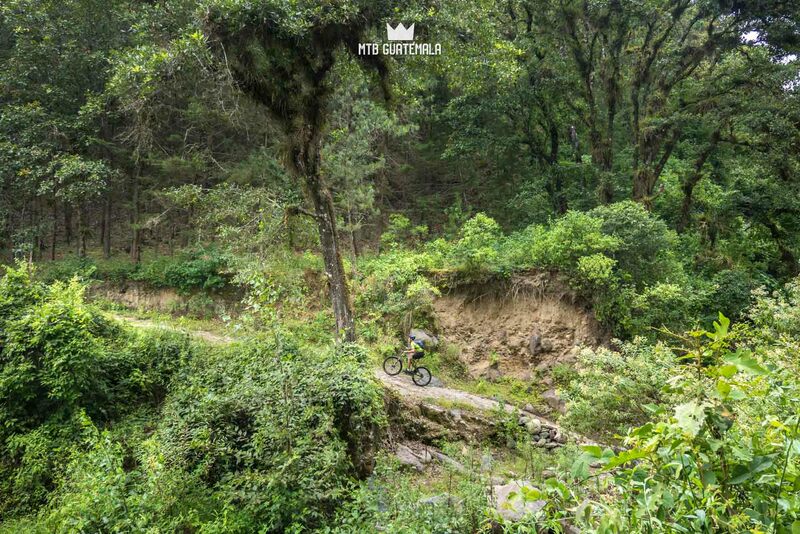 Our largest climb of the will start steady, turning impossibly steep on 4x4 jeep track to gain a ridge at 2,621m (8,599ft). 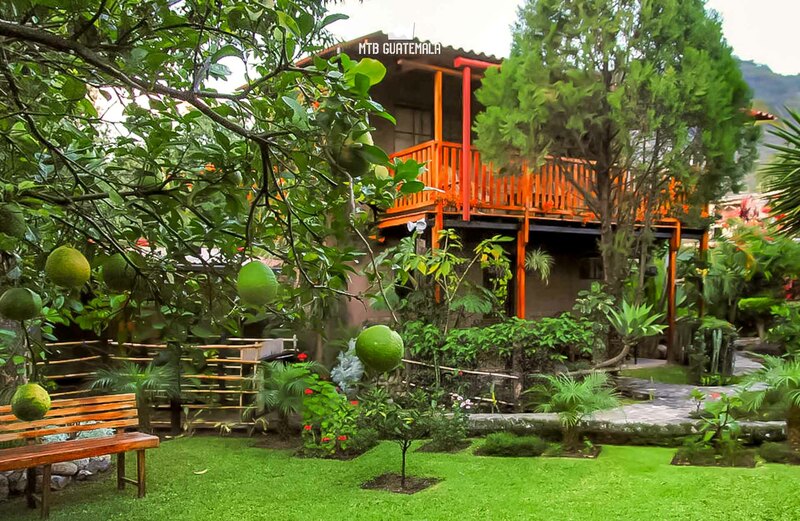 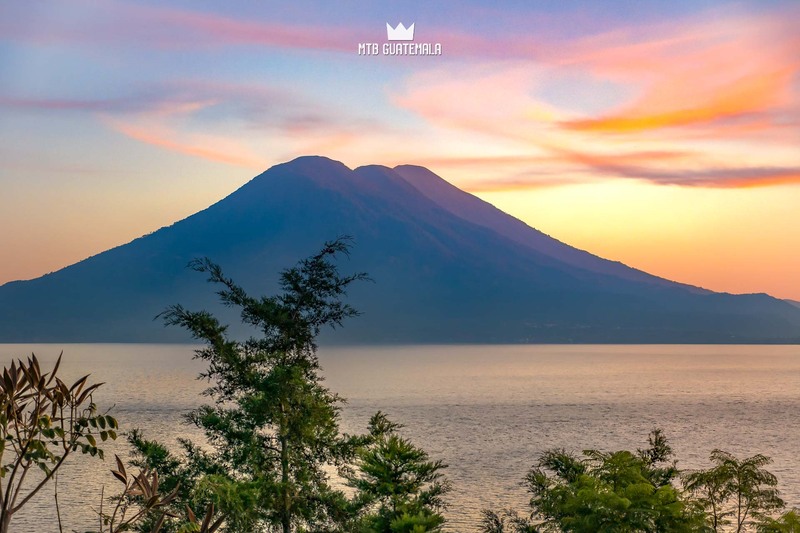 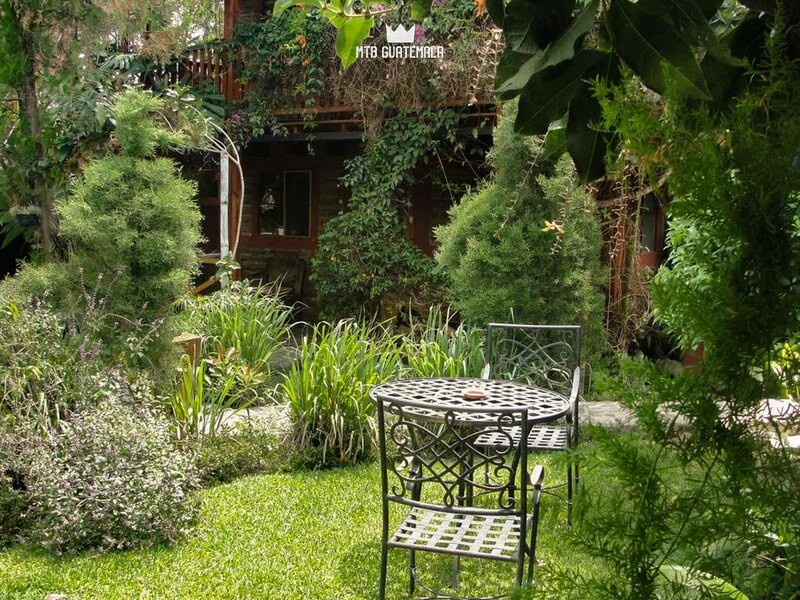 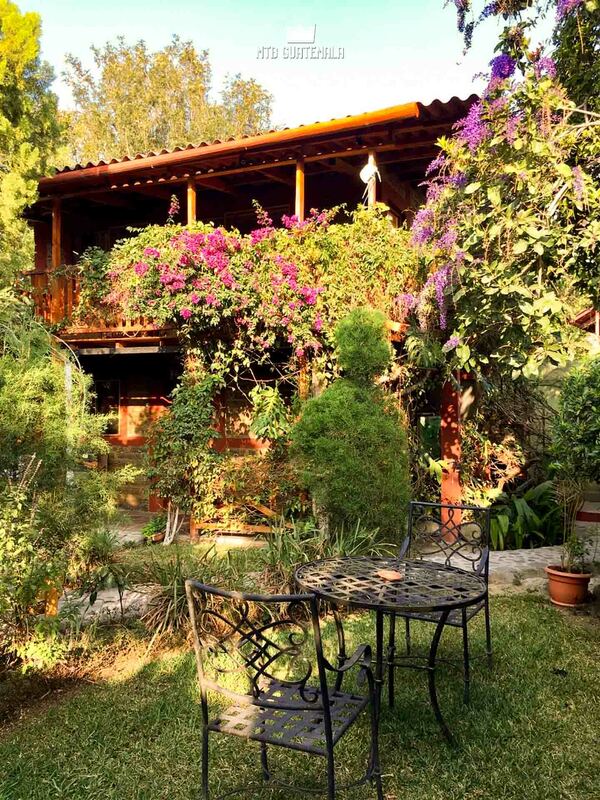 At the top you will get with 360 views of Lake Atitlán and Antigua in the east. 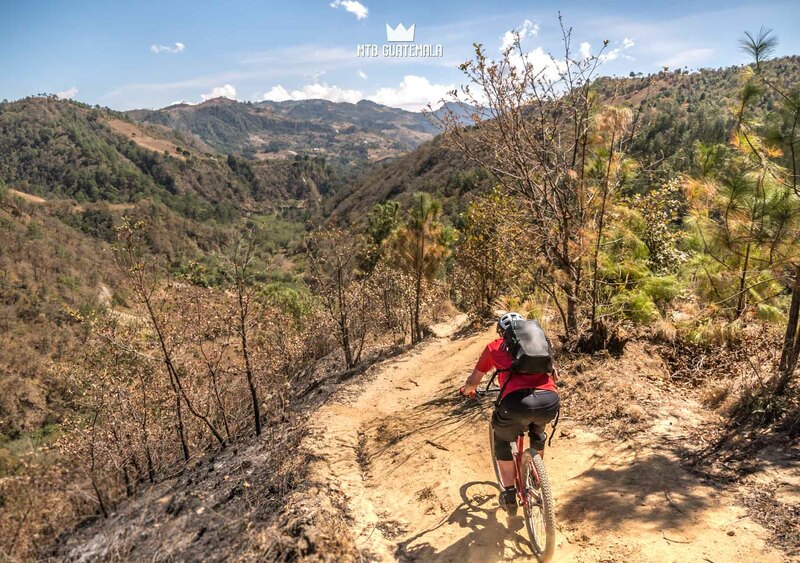 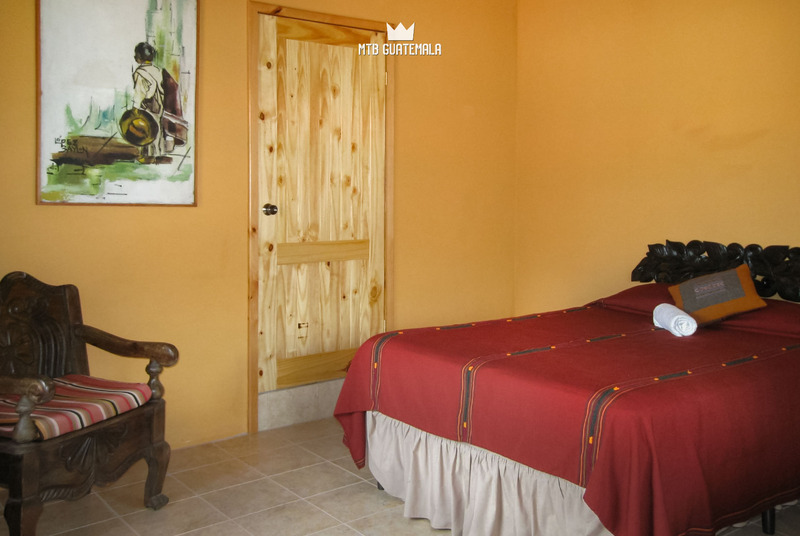 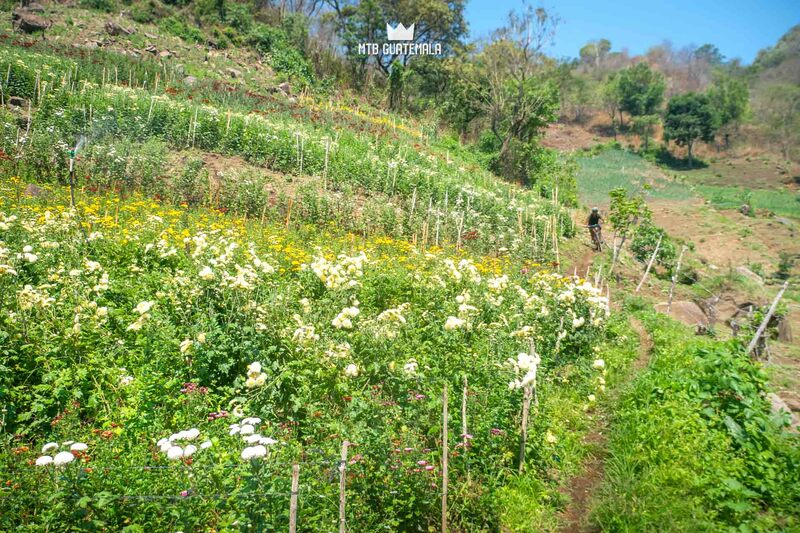 We will descend down into an area known as 'la cumbre" a sandy agricultural plateau with smooth trails that wind between coffee and fruit trees. 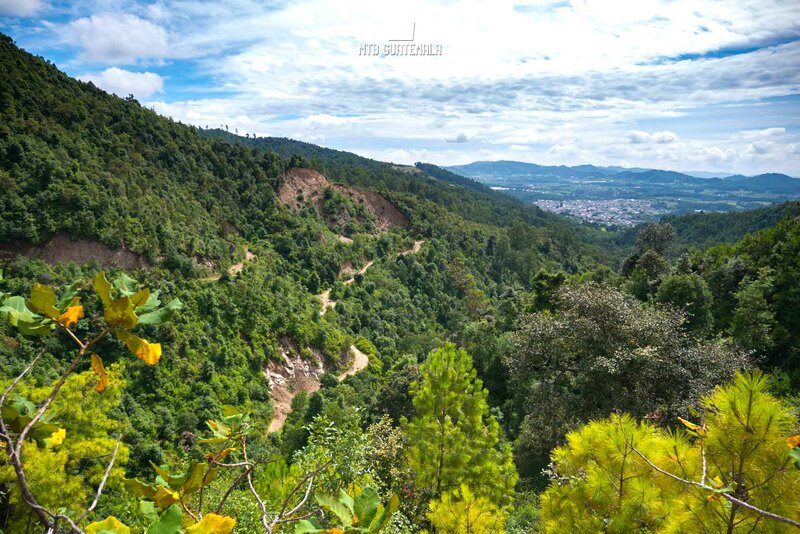 Following an exposed trail along a deep canyon you will get views all the way to the pacific coast. 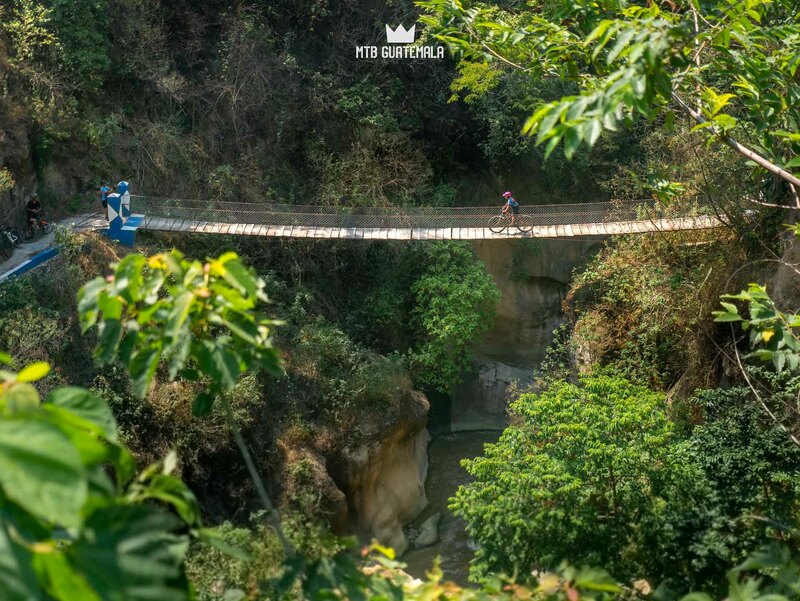 Remote and isolated, we will descend a windy mule-trail to the Madre Vieja river crossing a gorge with a roughly built suspension bridge at the bottom. 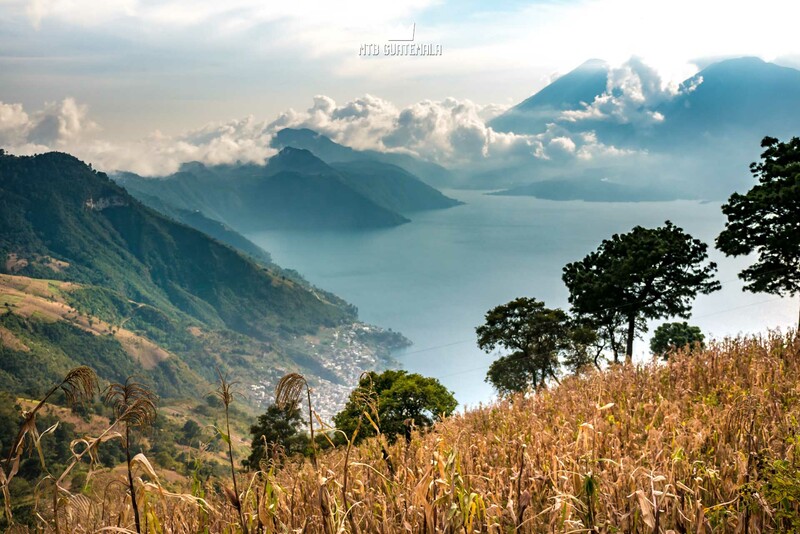 Climbing out won't be as much fun but impressive views of the Atitlán volcanoes will provide a great excuse to take photo breaks. 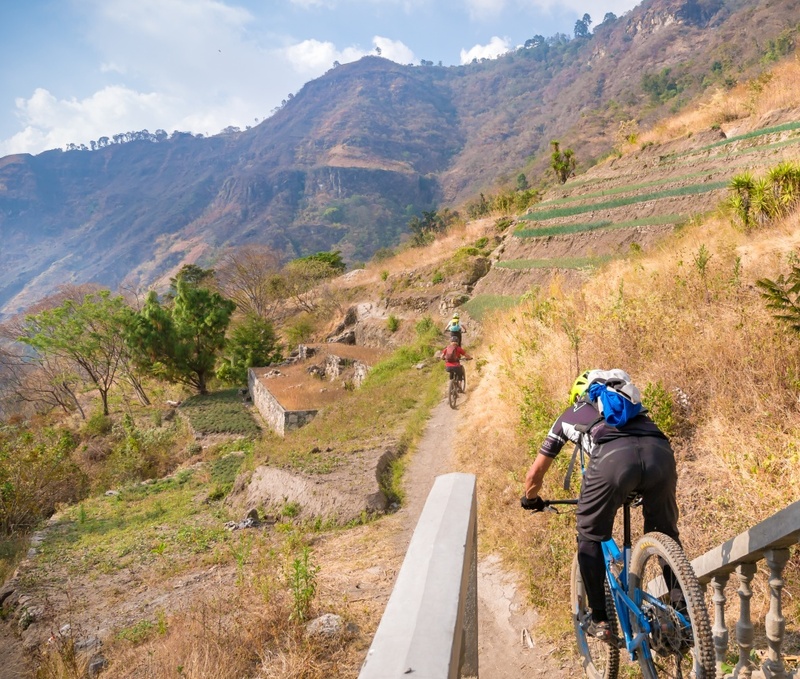 A quick shuttle ride will cut out the climb we did the previous day - taking us up to a viewpoint above Lake Atitlán for lunch. 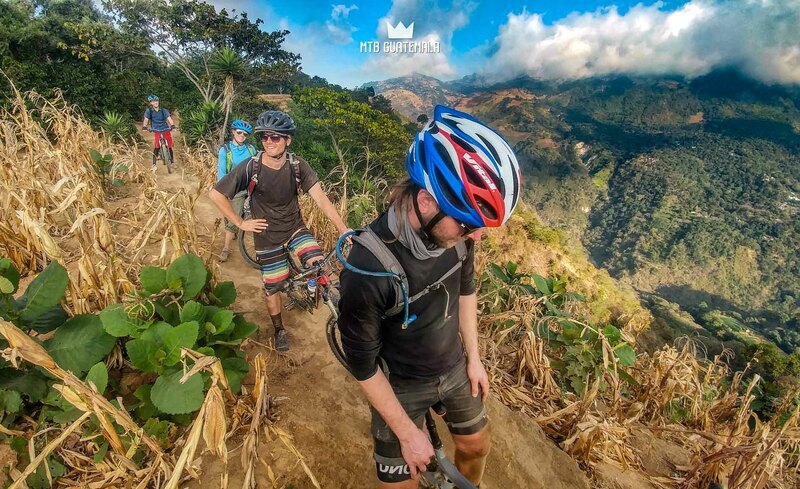 Afterwards we will descend an enjoyable combination of agricultural trails that will bring us back down to the village of Panajachel. 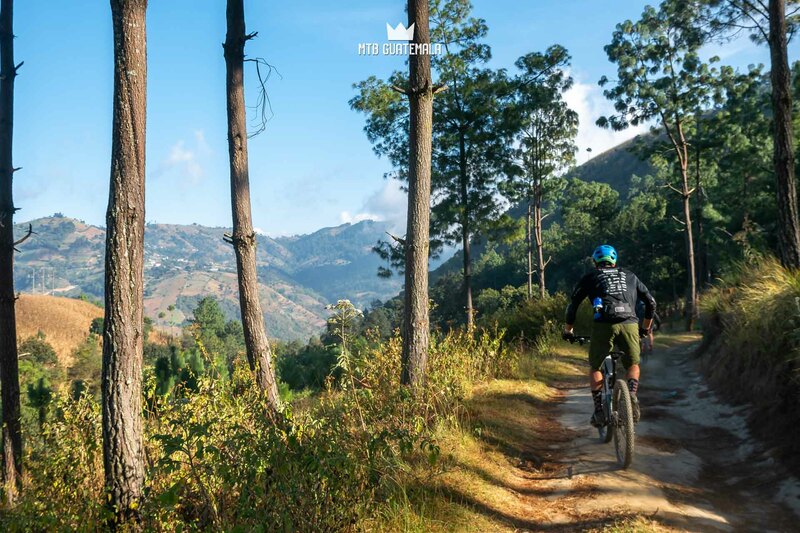 A day well deserved!